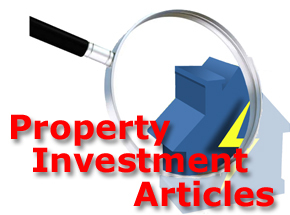 Currently viewing the tag: "finance"
A new survey has discovered that 40% of UK residents would rather choose property investment over all other investment types. 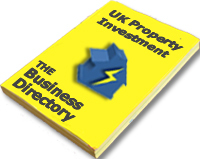 The YouGov survey commissioned by InterTrader found that 40% of UK residents reckon that property investment is the best vehicle for generating a good Return On Investment (ROI). In addition, over half of UK residents would consider a more active role in managing their own investment opportunities, with 38% of respondents saying they would not trust financial professionals to generate high enough positive returns with their hard earned savings. The findings of the YouGov survey were published amid the concern that parts of the UK, especially London and the South East, are experiencing a localised and unsustainable property bubble. Former Deputy PM Reckons “Rachmanism” Is Back! Former deputy PM, John Prescott has used his weekly column in the Sunday Mirror to hit out at rogue landlords in the UK’s private rented sector (PRS). Peter Rachman was a Polish migrant, who earned the poor reputation of being the archetypal slum landlord, because he subdivided houses into flats and rooms, forced paying tenants out of their properties to replace them with migrants from the West Indies, as it was easier to charge the migrants higher rents because they weren’t covered by UK rent protection legislation. It appears that the former deputy PM must have had a small lapse in his memory because it was the Labour government that introduced Local Housing Allowance, (LHA) – which replaced housing benefit and slashed the amount of money that tenants in private rented sector properties could claim towards housing costs, paving the way for the current unpopular bedroom tax that is affecting tenants in the social housing sector. The Labour government also introduced the ATOS Work Capability Assessments that have been attributed to the welfare reforms that the UK is also currently seeing. Owning rental properties and letting them to tenants is a business and rental prices are dictated by local area demand as well as the LHA rates in each region, so it is unfair of the former deputy PM to tar all landlords with the same brush. Yes there are some unscrupulous landlords out there, and there are unscrupulous bankers and businessmen too, but they are not being targeted by former politicians who use the media to their own ends. Wind your neck in 2 Jags, and stick to commenting on matters that you know about, rather than wading into a debate on which you know very little!